Mei Zhang is on Wendy’s WOW List of Trusted Travel Experts for her expertise and connections in China. The reviews below are from real travelers who’ve taken trips that were arranged by Mei and monitored by Wendy. Don’t miss Mei’s Insider’s Guides to Beijing, Yunnan Province and Big Cities and Small Villages, China. This was a superb trip. We are experienced travelers, and were extremely impressed by how well thought out this itinerary was. The thoughtful reading list that Mei Zhang’s team had suggested before the trip helped set the stage for us. We saw the “greatest hits” of China (Beijing, the terra-cotta warriors in Xian, Shanghai) and also spent 6 wonderfully relaxing and intimate days in Yunnan Province. Not only was the itinerary beautifully designed by Fann Fang on Mei’s team, our guides were uniformly wonderful. The guides in Beijing and Shanghai were knowledgeable, enthusiastic, flexible, and people we wanted to spend time with. Fann Fang set up a day with an art expert in Beijing, which gave us yet another view into Chinese modern culture. Our guide in Hangzhou (a day trip from Shanghai) gave us a local perspective and was smart and thoughtful. Our guide in Yunnan was a treasure and so kind. He immersed us in the daily life of Dali and Shaxi. We were welcomed into homes, enjoyed tea and a number of meals with local Bai villagers, and experienced village life (while staying in lovely accommodations). Mei is from this part of Yunnan Province, and we felt as if we had been welcomed into her home town. It was beautifully planned. Hotels were all great, and our rooms in Beijing and Shanghai were out of this world. In Shanghai, Fann Fang arranged for a room on the Bund with an absolutely breathtaking view of the river below and Shanghai’s modern skyline. The team did an admirable job arranging in-country transportation – two plane flights and a couple of bullet train rides. Our drivers were uniformly skilled and the cars were always stocked with water and snacks. The planning, the pacing, the guides, and the thoughtfulness of this trip surpassed any we have taken. Cannot recommend Mei and Fann enough. The highlight was lunch at the home of a local family. We had previously used Mei and her team for a trip to Taiwan, and they did a great job, so it was a no-brainer to use them for Shanghai. Isabel was our contact and she was very responsive and helpful. Joyce was our guide while in Shanghai and she did an excellent job. The highlight was lunch at the home of a local family. Truly a memorable family trip! Our trip to China went very smoothly! Mei had a thoughtful discussion with me on the phone, gave me several itinerary options and answered additional questions. Isabel did a wonderful job planning everything, keeping our 7 and 8-year-old children in mind. My husband and I and our kids loved all of our guides- Jerry in Beijing, Ting Ting in Xi’an, and Joe in Shaolin Temple area. They definitely had an extra challenge to keep everyone interested! My kids enjoyed learning history but their attention span for it is limited, especially for my 7-year-old. Generally speaking, active learning suits them better and we did a lot of that (hiking the Great Wall of China and looking for relics for my son, toboggan ride down the wall, cooking lesson, tai chi lesson, playing at the Temple of Heaven, Kung Fu lesson, calligraphy lesson, rickshaw ride in the Hutongs, eating scorpions, Kung Fu show, trying new foods, seeing the Terracotta Warriors, biking the Xi’an city wall, seeing pandas at the zoo)! This truly was truly a memorable family trip! Mei and Isabel also helped me tack on a 1/2 day tour of Hong Kong on a layover we had on a different but recent trip. Though it was short, I feel like we did get a feel for the place. Anna was our guide and we really enjoyed her as well. We have nothing but good things to say about Mei and her team. I would, without hesitation, book another trip with them! My name is Maeghan Whitehead, and my husband and I traveled to Beijing, Chengdu, and Shanghai in November 2018 with Mei Zhang and her team. The trip was a celebration of our 5th anniversary and our completing our goal to visit all of the New 7 Wonders of the World (concluding with the Great Wall during this trip). The two biggest value-adds that stand out to me are (1) the excellent guides used by Mei’s team and (2) the once-in-a-lifetime Champagne picnic that Mei set up on the Great Wall. Our guides (Raymond in Beijing, Benny in Chengdu, and Joyce in Shanghai) were, of course, knowledgeable about all sites we visited – but also helped us experience the best of local cuisine and shifted our plans each day to have the best weather possible at our most important sites (for example, having clear weather at the Great Wall and having greater visibility at the top of the Shanghai Tower). By the end of our time in each city, we felt like we had gotten to know quite a lot about the lives of our guides and the cities we were visiting. The Champagne picnic on the Great Wall was really above-and-beyond special. In addition to the picnic, they surprised me with a flower veil (which I proudly wore the rest of the afternoon) and gave us customized chopsticks for our anniversary. The picnic occurred at a pretty remote end of the Mutianyu section of the Great Wall – but the people who came by were astounded (and many took photos because it was so extraordinary). My husband and I are fairly seasoned travelers, but for a special trip like this one, we did not want to work out the transportation issues or worry too much about language barriers – it was really a relief to have Mei and her team take care of all of that, and it all ran completely smoothly. We certainly were able to enjoy our trip more and take in more experiences because we were not worried about transportation/logistical issues. Plus, the hotels recommended by them were top notch. Each hotel offered a different experience in each city (modern luxury in Beijing – meaning comfortable but not ostentatious; contemporary luxury in Chengdu – very sleek, almost minimalist style without sacrificing luxury; and old-school opulence in Shanghai). We greatly enjoyed the variety of experiences. Always responded to our needs, from smooth airport pickup and transfers, suggestions to make sure we say what we wanted by rearranging activities to avoid heavy local traffic. Well thought-out itinerary, excellent restaurant recommendations that highlighted local specialties. Would recommend. When considering adding China to an already planned trip to Mongolia, I had no idea where to start in planning my first trip to China. 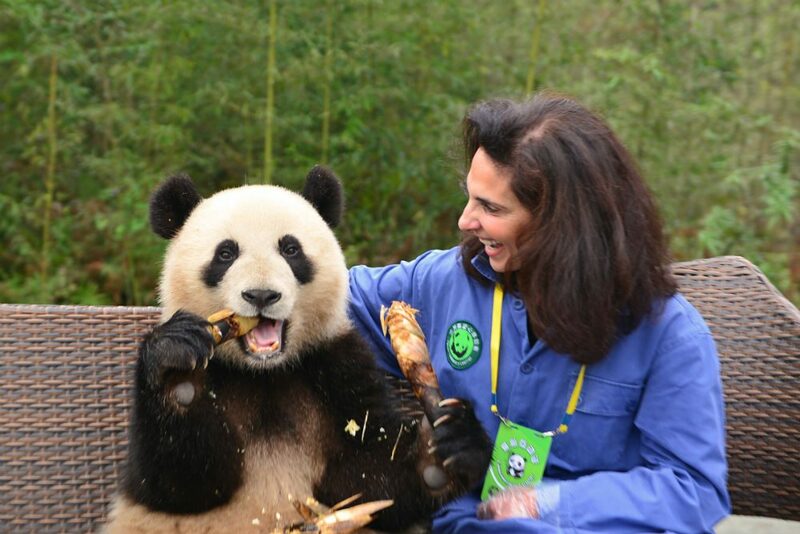 Thankfully, I read about Mei Zhang and Wild China on Wendy’s WOW list. Shortly after submitting my trip request, I received a personal call from Mei and we were off and running. She listened to my interests and within a day, responded with a suggested itinerary. When we pinned down a budget and general regions to visit, Mei brought in her team member, Isabel Wang, who was nothing short of an angel! During the 13 day trip, an injured Achilles heel became a major problem, but Isabel and the guides in each region made heroic efforts to keep our trip on track and allow me to see as much as possible within the physical limitations. The guides were fantastic, and Isabel stayed in touch with us every step of the way. Our hotels were fabulous, we received upgrades in Beijing. When we came down with a ‘travelers virus’, our guide got us to a great doctor and on our way back to good health. The itinerary allowed us to do meals on our own, but Isabel was spot on with great recommendations and the guides made sure we got where we needed to be, arranging for transportation where needed. I am so, so grateful for Mei, Isabel, and our terrific guides. When planning a trip to China, using Mei and Wild China is a must! It is hard to put into words the value and experience that Mei’s team—especially Isabel—provided as they planned a two-week trip through Beijing, Xi’an, Chengdu, Guilin, and Shanghai for us. My husband and I were taking our first international trip in almost three years – and our first international trip post-baby – and I wanted it to be flawless. I knew the second I connected with Isabel that it would be. Isabel did a wonderful job of getting to know me and my husband, and she asked all the right questions about our travel style to gauge the perfect blend of city/culture/nature and walk the fine balance between planning a trip that was active enough for us to see everything we wanted, but still provided us with enough downtime to not feel exhausted. They did this perfectly, and we awoke each day excited about our itinerary. Furthermore, given their extensive connections throughout China, Isabel and her team were able to make certain that we didn’t just experience sights but that we were able to have unique experiences as well. As an example, I mentioned to Isabel that seeing the Great Wall was a huge priority for me, so she recommended visiting a spot further out of town with fewer tourists. She also shared opportunities that we could consider to enhance our Great Wall experience – and we settled on having a private chef cook us a three-course meal atop the Great Wall. Isabel planned it all perfectly, and then she changed plans on short notice twice: once when I told her, only a few days before departure, that I have a fear of heights – which meant that she literally moved our entire day to another section of the wall. Then, when we arrived in Beijing we changed days, as we noticed the weather wasn’t good for the day we were supposed to hike the Great Wall. Isabel arranged for the chef to accommodate us a day later than planned, and we ended up with amazing blue skies, perfect air quality, and views that were unreal. It’s not every day that one dines on foie gras and perfectly cooked steaks while sitting atop one of the world’s most recognized landmarks, with stunning views and virtually no other people around, but Isabel and her team made it happen. The team also arranged for us to serve as volunteer panda keepers for a day in Chengdu (and when there were problems with the facility we were planning to go to, Isabel made changes to our itinerary on the fly again and – again – it worked out perfectly); see a Sichuan Opera (and try on the costumes beforehand! ); hike through stunning terraced rice fields in Guilin; share an amazing home-cooked lunch at a farmer’s house in a local village; and zip through the busy streets of Shanghai in a sidecar. Without exception, every guide we worked with was amazing. They had everything one might need – including toilet paper and hand sanitizers for public restrooms; sunscreen for hiking the Great Wall; insect repellent for when we were near the water; even recommendations for the best spots for me to find a western toilet! Every guide provided us with their cell phone number and encouraged us to call with any questions – even if we were on our own time. The guides were quick to offer suggestions for our free time, whether it was restaurants or activities, and they were happy to help my husband practice his Mandarin, offering tips and tricks on reading, pronunciations, etc. And while all the guides were stellar, I have to call out one guide in particular: Wei, in Guilin, went above and beyond when my husband discovered his wallet had fallen out of his pocket as we began a hike through the rice terraces. Wei had us sit and wait while he ran back down to the entrance gate searching for it, and then he ran all the way back up (and it was straight up!) to us as fast as he could. He had our driver work with the staff at the entrance gate to pull security video footage and shared it with us to see if my husband had his wallet when he got out of the car. He called the police and filed a report when we weren’t able to find it (good news! It was later found!). He was also kind enough to lend us money throughout the day because, unfortunately, my husband had all of our cash. So, rather than have something like that ruin our day or put a damper on our trip, we were able to continue on with our hike through the rice terraces – without nearly as much stress as it could have been – and it was a true highlight of our trip. As another example of customer service going above and beyond: when I somehow left half my clothes behind in one of our last hotels, Isabel worked with an international shipping company to retrieve the items and have them returned back to me in the US. Amazing customer service from start to beyond finish! And of course, it would be remiss of me to not address the budget. There’s a saying in life: You get what you pay for. I’ve found this to be especially true in the world of travel, and I am happy to say that our China trip was one of the best values I’ve ever encountered. We received impeccable service and had knowledgeable, enthusiastic guides who were so committed to ensuring that we had an incredible time – but we also encountered a great value. When I initially e-mailed, I sent in a rough budget; I’m always hesitant to do this because I know that for many agents, the temptation exists to price out a trip to come in *just under* the maximum you’re willing to spend. I was shocked when Isabel’s first itinerary came in *under* my low range of my budget. By the time I added in all the extras that I wanted, I was still well within my budget – such a pleasant surprise! We were able to stay in the luxury hotels I chose, travel comfortably between cities, have amazing and unique experiences – I felt like the value for the money for our trip was unparalleled. If you’re going to visit China – and you should! – you’ll do yourself a huge favor by reaching out to Mei and her team before you plan anything. They will craft an amazing trip that will leave you wishing for a return visit before you have even left, because you’ll want to go back not just to see this amazing, diverse country, but because Mei’s staff and guides feel like friends. My husband and I cannot wait to return and see more of this amazing country, and when we do Isabel will be the first person we reach out to. A huge thank you to Isabel, Michael, Sherry, Benny, Wei, Joyce, our drivers, the support staff, and of course thanks to Wendy for helping me find this amazing travel agency! My trip was a bit unusual as I was joining two others at the last minute for one part of the trip in China. However, I decided to continue my trip to another province in China as a solo traveler. Mei Zhang and her team in Beijing devoted many hours (and more patience!) setting up my trip as it was a bit convoluted combining wildlife viewing, cultural experiences and lots of air and road travel! During the trip I became ill and my guide and the hotel personnel were extremely attentive in looking after me. More importantly, my travel specialist in China, Angela, was in constant contact with me as to be sure I was doing ok. Such personal attention and flawless logistics are key reasons that I would like to return to China for another trip with Mei Zhang and advise others who would like a tailor made trip to contact them as well. Mei and Jenny on her team far exceeded expectations (which were already pretty high). They had terrific advice during the planning phase of the trip, had creative and novel travel ideas, and we felt like they were following our daily progress throughout the trip. The hotels, guides, and activities were at the highest level and were great fits for our tastes, style, etc. And they surprised us with a WOW Moment that definitely met the “WOW” standard. In short, we were extremely pleased, and we’d recommend them highly. We had 2 days in Beijing prior to a pre-cruise tour and did not want to cover the same ground. The suggested itinerary was well thought out and offered unique experiences in less traveled areas such as The Great Wall at Mutianyu, The Temple of Heaven, The Summer Palace and the Old City. Our guide, Raymond, made excellent restaurant suggestions, helping us with ordering and was able to change our program on the fly, for example including an impromptu walk down “snack street”. The driver was very professional and our vehicle, a new SUV was stocked thoughtfully with snacks and water. My wife and I highly recommend Mei and her team and would use their services again on a return visit. Mei set-up our guide, Michael, who was prompt, informative, enthusiastic and flexible. Three days of fantastic tours in and around Beijing! My family and I, travelled with Wild China over the Christmas (12/22/16) / New Years holiday (1/17). We began in Hong Kong, which is a very fun, festive place to start, they love Christmas! City is decorated beautifully. Our guide David was wonderful, we saw all the sites, including the bird, and goldfish markets which were fun and a tour of the harbor on a sampan. We then travelled to Guilin, and met Helen, who was lots of fun, we had a beautiful ride down the Li River, hike, tour of market, light show, hike. Next, up to Beijing, where Abraham, toured us to Tiananmen Square, Forbidden Palace, local cooking class in a Hutong neighborhood and a hike on the Great Wall, Mutianyu section, truly incredible!!! Much more, but these are a few highlights. All our accommodations were wonderful, dinner rec. perfect. Working through the planning stage, with Alice perfect! Alice also kept tabs on us during our journey. Would highly rec Wild China, wish we had more time! We hired Mei and her team to plan our two-week trip to China in November 2016. Their performance actually exceeded our expectations by a fair margin. They were quite timely and intelligently responsive throughout the planning phase, and bookings were exactly as promised. 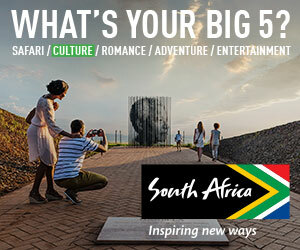 Their guides and drivers are very knowledgeable and personable; in fact, they are an important part of the fun. Every individual we had contact with from WildChina, without exception, was highly responsive to our needs and desires. China is a fabulous destination on its own, but we have little doubt our trip was greatly enhanced by the detailed, personal service rendered by Mei and her team. Itinerary was a 2-day trip to Beijing to experience cultural highlights with focus on securing the best guide to accomplish all without rushing and of course allowing time to shop. Outstanding Beijing guide! Set the bar ridiculously high. Young, educated, funny, resourceful — the very best qualities are found in Raymond Lei. Have been home less than a week and already recommending Mei to my colleagues and friends. She connected me to Alice Zhang, who quickly put together an ideal itinerary. Many thanks for such exceptional service! Mei Zhang and her team were nothing short of remarkable. From the initial contact and the NUMEROUS, detailed email communication, Mei’s team was extremely responsive, informative and helpful. My wife and I wanted to plan a comprehensive tour of Shanghai and Xi’an prior to boarding a cruise back in Shanghai. The team recommended sites to see, hotels to stay and flights to take all the while in the company of their English speaking guides. Once we had agreed on the itinerary and we arrived from Canada in Shanghai Airport amongst the chaos was Joyce our first guide whom along with a driver escorted us to a 5-star property (Langham) downtown and ensured we were checked in before departing for the evening. That level of service and the ability to speak fantastic English was a great confidence boaster that only got better! The tour was amazing in Shanghai and the guide, well we could have taken her home with us. She took us to the airport the 3rd morning and off we flew to our next stop, Xi’an — met at that airport by guide #2 whom once again exceeded our expectations. Tours, transportation and the hotel were all first class. The next day she ensured our flight and the seats flying back to Shanghai happened, and was there right at security to wave goodbye. Back in Shanghai, once again here is Joyce (guide #1) waiting in arrivals, then transporting us to the ship with plenty of time to spare. 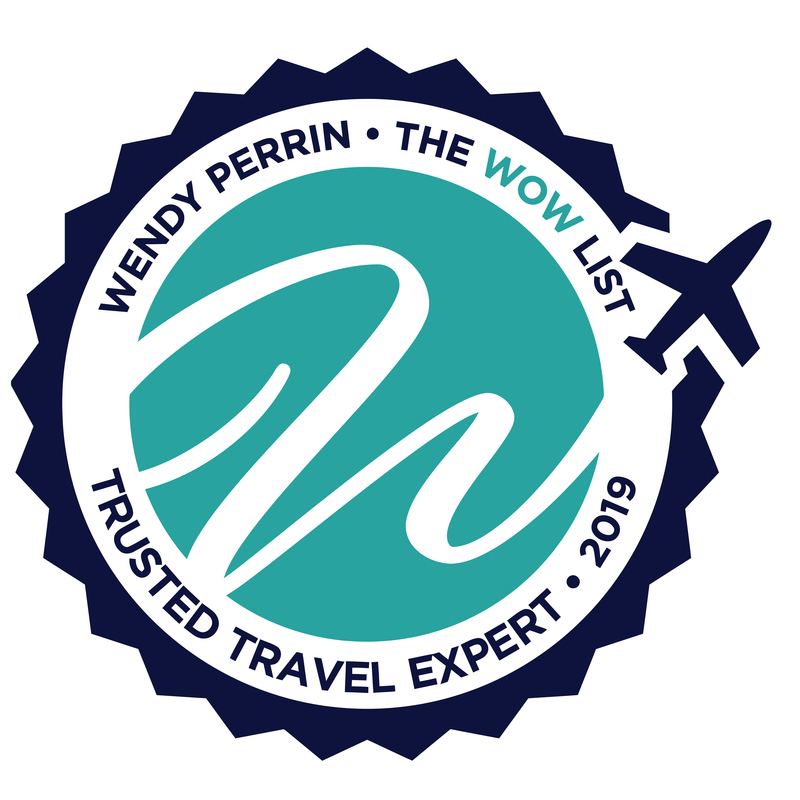 I travel globally extensively but I must give a big shout out (which I have already) to Wendy Perrin and the TRUSTED TRAVEL EXPERT whom you recommended! Mei Zhang — truly remarkable service. We wanted to take advantage of the 72-hour visa-free period in China, and we wanted to make the best use of our time. I contacted Mei at Wild China without even being sure she would be willing to take on visitors for such a short period. She responded very quickly and within a few days, we had a great itinerary laid out. It really eased my mind to know we could maximize our time in Beijing. We thoroughly enjoyed our brief stay thanks to Michael, who was a wonderful tour guide. After a 14-hour flight, it was wonderful to see him waiting for us and we immediately felt comfortable with him and our driver as we headed into the city. Our first day was spent visiting the Lakeside District of the Great Wall, with a stop in a local village for a wonderful lunch. We were the only Westerners in the village, and on a rainy day, we had the Great Wall all to ourselves. Michael had a terrific restaurant recommendation for us in Beijing that evening. Our next day was full and rich—from a wonderful visit to the Temple of Heaven, to the Forbidden City, the Art District and more. Michael set up a Peking duck lunch at a restaurant known for its duck, and the meal was a work of art. We visited a famous cricket fighter at his home in a hutong; what a great opportunity to see life in the hutong and learn about aspects of culture about which we knew nothing. When Michael delivered us to the Air China counter late that evening, we felt we had had a rich and diverse experience, wonderful conversations with Michael about life in Beijing for young families, and delicious food. Thanks to Wild China, our brief stay was a huge success and we will definitely look to them for a longer return trip to China.